Discussion in 'Nominet General Information' started by leanne.kenny@nominet..uk, Apr 28, 2017. As you may be aware Nominet is planning to run a promotion where registrars can offer their rights-holders a two-year FREE registration on reserved .uk domains. We've been asked whether we could do anything to help self-managed tag holders bulk register the names they have rights to. This is something we're looking into, but it would be useful if we could get an idea of how many others would be interested in this kind of functionality. So I thought I'd come on here and canvass some views. Would you be interested? Would it help? I can't promise we can deliver what has been asked for, but it would be really helpful to get an idea of numbers and how many people potentially would benefit. I can't think of any good reasons why investors would choose to complicate things by registering the .uk, though I suppose in theory that after June 10th at least it's not increasing ongoing costs before the 2019 cut-off. Many of us feel that ethically, .co.uk and .uk should be seen as being the same thing. What's more to my mind .uk is still dead on arrival. It has achieved virtually zero real world engagement. I don't have any interest in registering the .uk counterpart yet, so even a 2 year free option would offer me nothing. If it was 3 years, so I at least benefit from a year, I might. Speaking freely, offering 2 years .uk registration suggests that Nominet cannot make .uk work and need registrations to sure up profits with renewals in 2019. I'm not convinced still it will work out, but appreciate within members here, it is almost a 50/50 split on its future success. I'm sure it will help commercial registrars boost their renewals. It might help portfolio holders in the way Edwin mentions - or where people are splitting the pair and selling separately (sadly often to users who aren't fully aware of the ramifications). My expectation is that 90%+ of .uk registrations will just point at the .co.uk, and we'll get about the same utility as before this all began for about three times the cost. BTW the fact we'll take the freebie registrations shouldn't be seen as a vote of confidence in .uk, because that's not the case. I have yet to see anything at all that convinces me that .uk is a good idea. Nominet laid out the timescales for .uk 5 years ago. Tell us Leanne, of the registrars who take you up on this offer, is it Nominet's intention to use the resulting increase in .uk registrations as some form of success indicator closer to 2019? 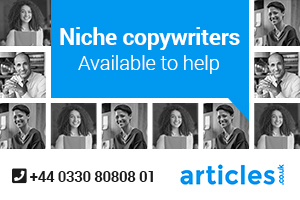 Will it be forming part of some reach-out exercise to existing rights holders using an email marketing model? Thank you for asking Leanne. However, I have a problem with this too! It increases our workload! And for no benefit. As ian mentioned, 3 years and then we get something - my view is 4 years. That way it gives us a chance to try and promote the .uk on your behalf! anthony also raises a great point, one that Leanne will undoubtedly not be able to answer, but the media will be reporting Nominet's .uk registrations in the build up to the 2019 "landrush" as outstanding. And the CEO will get a good handshake, pat on the back and a ££££ bonus!!! 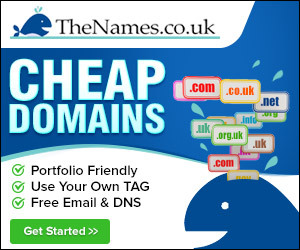 (it's probably in the contract somewhere, register >x number of domain names for £££ bonus). help self-managed tag holders bulk register the names they have rights to. BTW, will you also ask us this in 2 years time (to help self-managed tag holders to bulk register .uk)???? Once again, thank you for contacting us Leanne! Some food for thought. Leanne. It's an extension that nobody (apart from a minority) wanted. The only people to make lots of money on this were big registrars and, if they got bonuses or 'gifts from big registrars as thankyous', board members who created the process and made sure it would be approved no matter what. Therefore please give everyone who has rights to register the .uk a free registration option alongside their normal registration. Surely you just want people to use it? It's not about squeezing more money out of people is it? I will happily register every .uk I have rights to and help 'establish the namespace'. Agreed Rob. if .uk was sold as being "the new, shorter .co.uk", then it should be treated as such. Unfortunately it's just a cash cow driven by the "commercial" attitude of the Nominet executive. I think a few things may need to be clarified. 1. This promotion already applies to self-managed tagholders as well as other tag-holder types. Leanne's question is only about making bulk registrations easier (because at the moment the .uk have to be registered one at a time) to make the process of claiming the free 2-year registrations easier for large portfolio holders. I shudder to think how long it would take us to register the 4,000+ .uk we have ROR for if it had to be done one by one. 2. There's no obvious catch (that I can see) in that you can either wait until June 2019 and then register/not register the .uk domains you are entitled to, or you can register them for free for 2 years now which takes you past decision day anyway - but gives you the chance to do something with them in the meantime (test the traffic, sell them, park them, whatever). If you didn't think you wanted them in June 2019 then simply don't renew them when it comes to paying! 3. Nobody's forced to do anything - this is an entirely optional promotion. 4. It really is "free" so long as you choose a 2-year registration period. So if you have 10,000 eligible domains, Nominet will give you 20,000 years' worth of registration of the .uk at zero cost to you. 5. The .uk is here whether we like it or not. You don't have to like the extension to take advantage of the promotion - you only have to decide whether you're better off with or without the free .uk. There's no "right" answer - it depends on your needs and circumstances. They will be forced in 2019. They either let it go and have their brand split or they pay. If you think this is not being forced then you probably don't think people who pay others not to smash their shops up are forced to pay for protection. Sometimes it's painful to watch turkeys not only looking forward to christmas but advising everyone else to embrace it as well. I agree 100% that "free forever" is both fairer and more desirable. Absolutely right, there. However that's very clearly not on offer. So unless you're rehashing a hypothetical argument about the inequity of .uk itself, I don't see how your comment relates to this time-limited promotion. That's true Edwin, but it's still probably in everyone's interests (other than Nominet and large registrars) that .uk fails to gain traction. Because my "support" will do nothing for improving .uk uptake (I am not going to be using them in commerce, nor in advertising) but it might - I stress MIGHT - help pay a few bills and put a tiny bit more aside to cover renewals. Here is an idea Scrap .UK you can keep the 2 years’ free registrations. The biggest disaster in internet history coming soon in 2019 in a browser near you. shorter extension just .U free registrations for the first 5 years for all Tag holders. I understand that a number of SMT holders reject the idea of bulk registering .uk domains because it promotes marketing of same, which they do not want to support. In my view a bulk registering tool with free 2 year .uk registrations for a limited time would be very useful. I am surprised that there is not more interest in the option to split entire portfiolios, with obvious benefits for resellers. It seems that the protest vote is a louder voice, with a negative effect in this thread. There probably never was an opportunity to change the launch of .uk, it is here to stay. The question now is how long it will take to become established.